Filmmaker and producer who is known for his career in the Indian documentary and feature film industries. 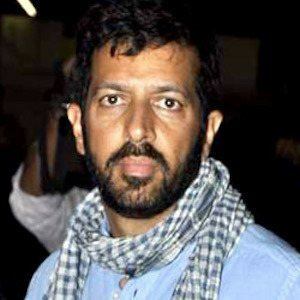 In 2015, he directed the film Bajrangi Bhaijaan, which upon its release, became the then-2nd highest grossing Indian film. He began his career in documentary filmmaking at age 25 for the Discovery Channel. The first project he worked on was the documentary Beyond the Himalayas. He made his feature film directorial debut in 2006 on the film Kabul Express. He won the Indian National Film award for Best Popular Film Providing Wholesome Entertainment. He was raised by his father Rasheeduddin Khan and mother Leela. He is the youngest of two children. He and his wife, TV host Mini Mathur, have two children, named Vivaan and Sairah. He worked alongside John Abraham during the making of his movie Kabul Express.